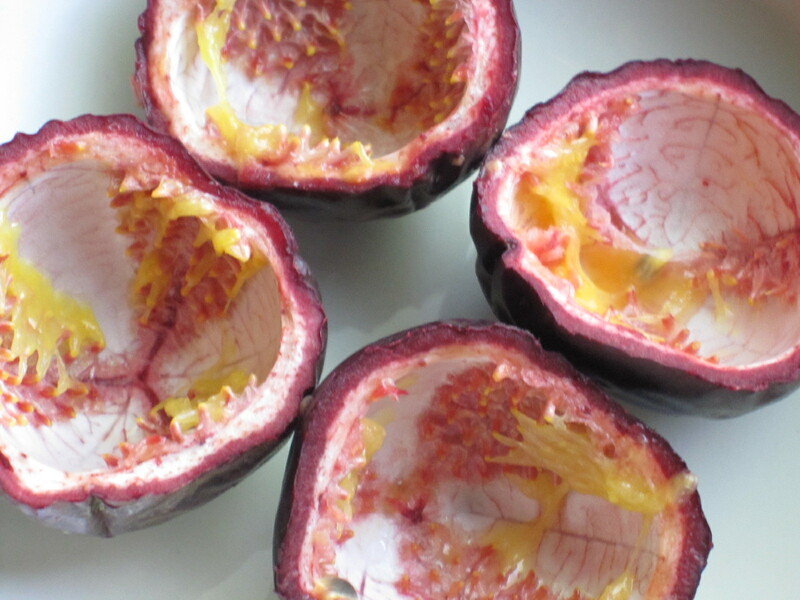 Two Simple, Delicious Breakfasts | Laura's "Rules"
If you are ever lucky enough to come across puckered, indented, ripe passion fruit in the store, by all means pick it up. It makes a scrumptious and easy breakfast with a mildly sweet yogurt (I used Pequea Valley Farm lemon yogurt, which is unbelievably good) and slivered almonds. It’s just sour-sweet enough, and very refreshing. Marion Nestle‘s tome, What to Eat, sufficiently convinced me that runny eggs, although once perhaps far safer, are no longer to be trusted given modern farming methods. I do source eggs with care — picking organic and pasteured eggs whenever I can. Still, for some these will be past perfection. I boiled these for 8 minutes. They were delicious on buttered toast. 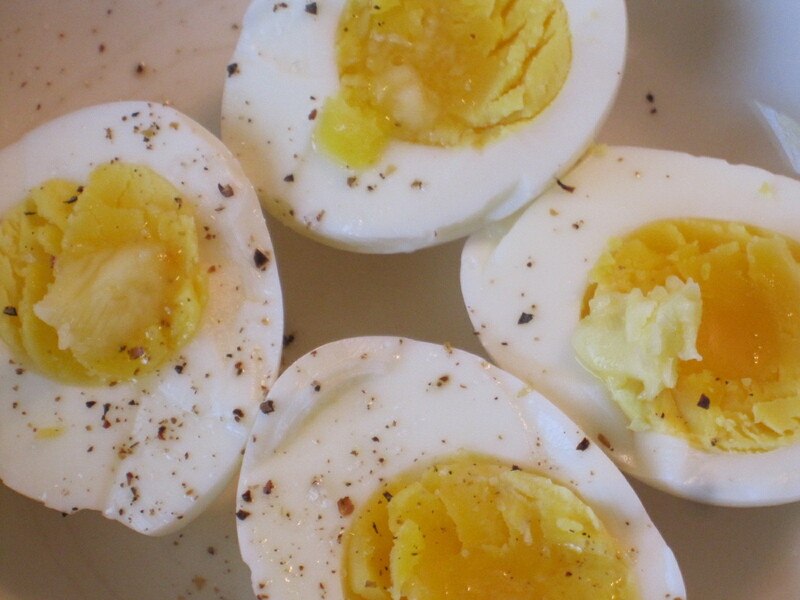 This entry was posted in Recipes & DIY and tagged Boiled egg, breakfast, cook, environmental health, food, fruit, green, health, Home, Marion Nestle, mommy blog, parenting, parents, Passiflora edulis, recipes, Yoghurt by Laura MacCleery. Bookmark the permalink.